A Picturesque Doe Kill - the4pointer.com | Real Hunts. Unreal Stories. 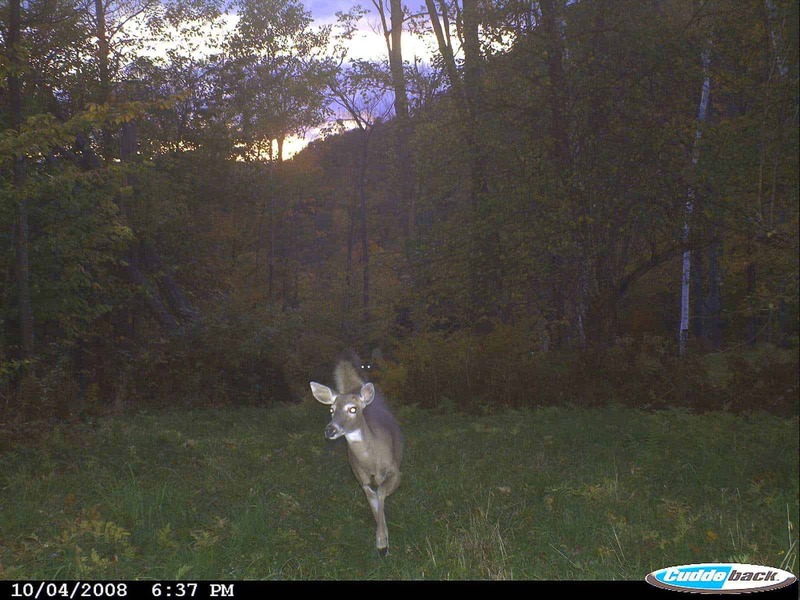 Have you ever hunted over a trail camera? I mean, have you ever set one up right where you expected to get a shot at a deer? 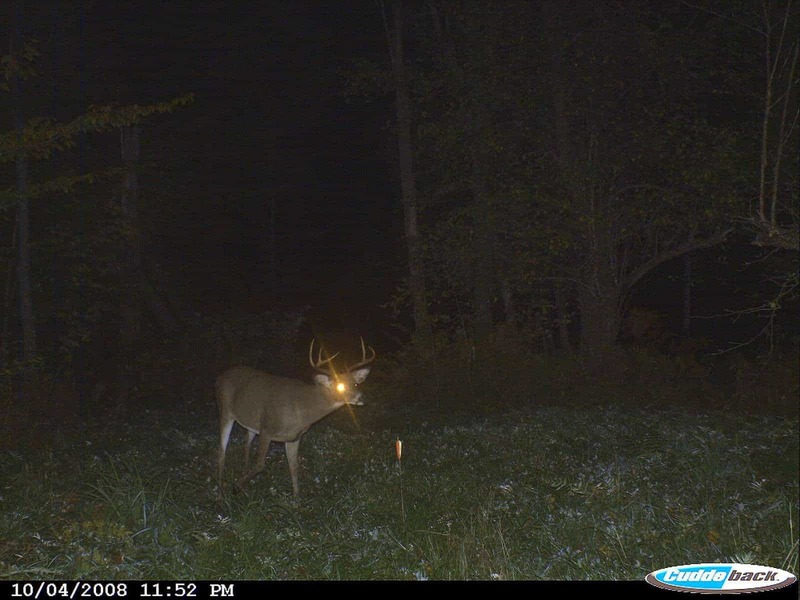 One evening I found myself sitting in a climbing stand over a sparse apple orchard and I happened to have a trail camera set up under on one of the apple trees ten yards from my stand. Little did I know that over the next 12 hours the camera would capture some cool memories for me. 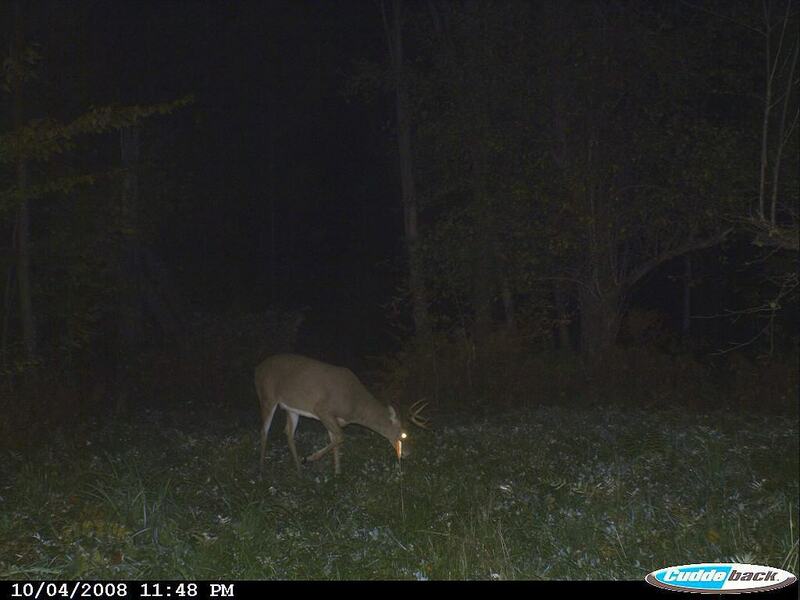 A few weeks earlier (before bow season was open) I sat up in the stand on a warm fall evening with a dual purpose. I was there to shoot a bear, but I was also hoping to see some deer to reinforce my feelings that the stand was in a good location. It didn’t take long to learn that it was. About 20 minutes before dark I heard an animal walking towards me coming down off of the hardwood ridge. I was hoping it was a big bear but I was surprised to see a nice buck step out in front of me. 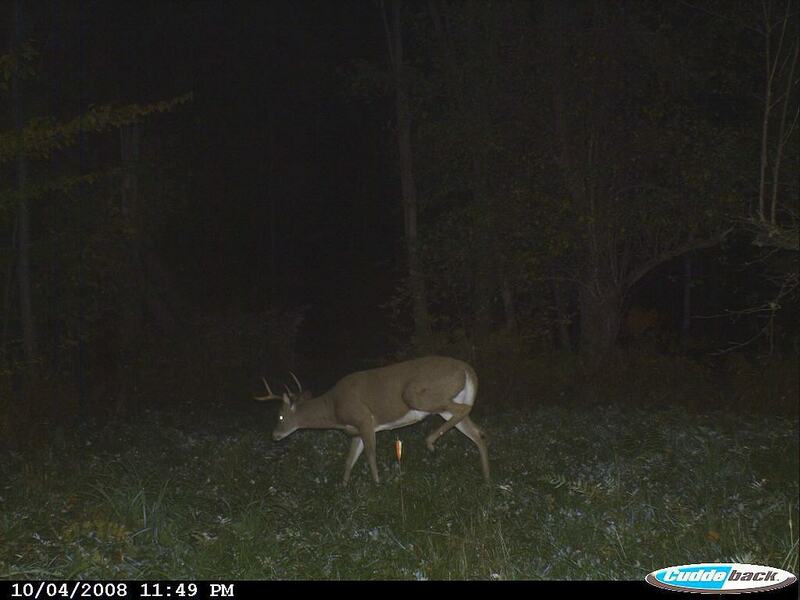 He fed on apples for the next half hour at 15 yards! Broadside! But, being the honest fellow that I am, I hung up my gun and videotaped him instead. (I don’t know where the video is now…). I got down that evening with high hopes for the coming season. 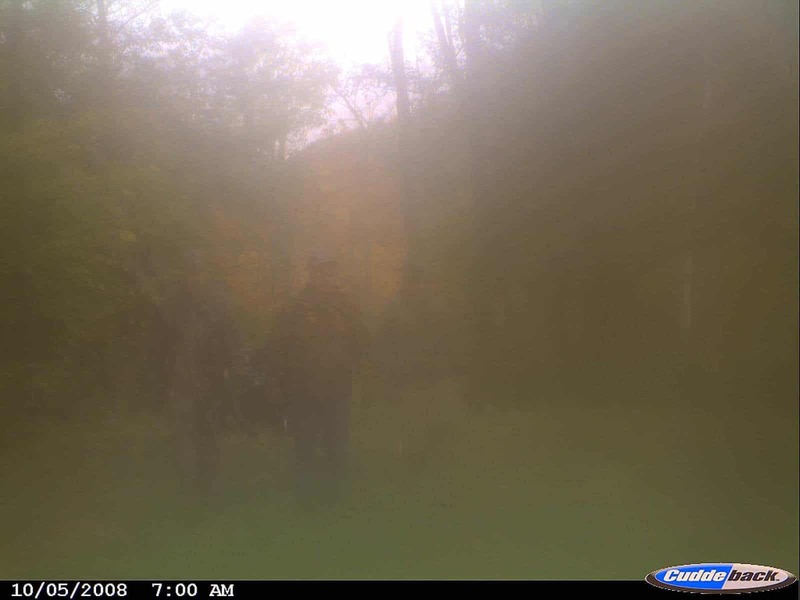 Fast forward to my first night in the stand – October 4th. I’d been sitting in the stand for a while when I noticed three deer feed out into the field approximately 100 yards away. I had been watching them for a bit when suddenly they turned and ran right for me. I grabbed my bow quickly and got ready. At the precise moment this picture was taken the doe was coming to a stop. I was at full draw and released the arrow. If you look close you can see the eyes of one of the other deer with her in the background. Thirteen Minutes later I had climbed down from the tree and reached for my arrow. She had been quartering towards me slightly and although the shot had been right behind the shoulder I knew it had exited low and a little back. After thinking things over for a minute I decided it would be best to turn around and stick the arrow back in the ground where the doe had been standing when I hit her so we could pick up the trail right away in the morning. Cue up Mr. Big….Like I mentioned earlier. I knew he was in the area. Unfortunately, he didn’t decide to make an appearance until it was almost midnight. You can see my arrow stuck in the ground right in front of him. He finally said goodbye to the cameras at 12:04. We only got a few more pictures of him the rest of the season 🙁 . 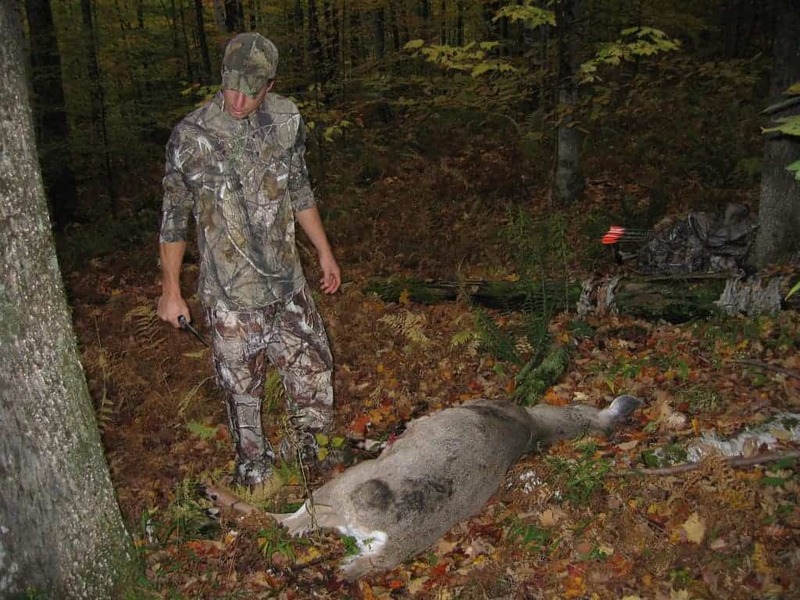 I did notice that there was a nice 7 pt that weighed 160 lbs checked in at the local station later that year. 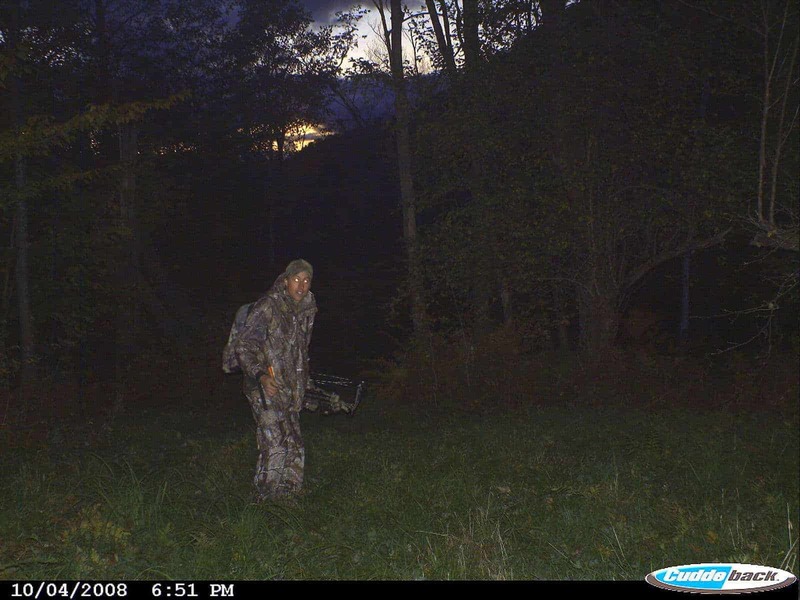 The fellow that shot the deer doesn’t hunt too far away so it might have been him. He certainly looked like he could go 160 pounds. Anyway, back to the important stuff. We returned the next morning to pick up the trail. 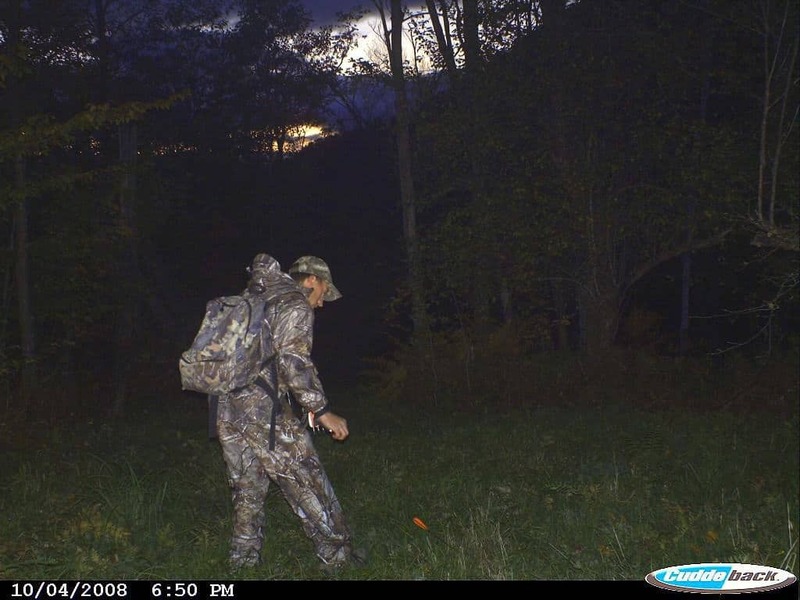 The blood trail was easy to follow and she only ran about 150 yards before expiring. I’d hit one lung and liver but the decision was a good one to leave her overnight. Somehow the coyotes didn’t find her and we got to eat her instead of them. It was a fun night and morning, to say the least. The doe was fun to shoot although the buck would have been more fun. It’s great to know the big ones are out there at least. 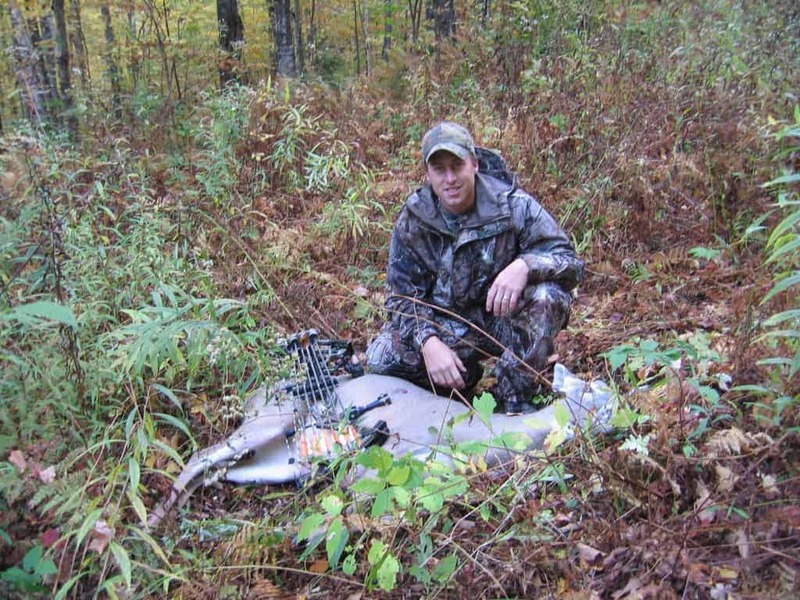 And…had the season been open two weeks prior I could have shot him no problem. It just so happens that our paths never crossed during the season. There is always next year! Happy Hunting Everyone and Good Luck! Like this? Why not Subscribe to have cool stories like this delivered right to your inbox?